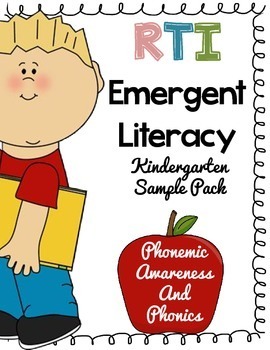 This packet is a systematic way of teaching Phonemic awareness. Only spend about five to ten minutes a day on this. It’s an intensive phonics intervention packet that will help beginning readers or poor readers in need of training. Pictures are used selectively to aid students on certain pages but are purposely left out on others so students can truly focus on the letter sounds. Students can first learn the letter names and the SOUNDS the letters stand for. As the teacher, you’ll aid the student to isolate the letter sounds, by pronouncing the sounds as clearly as possible. This packet is design to be used in a binder, just insert into a transparent sheet, use a dry eraser marker, and print-n-go! Each lesson builds on the previous one so there is measurable progress.